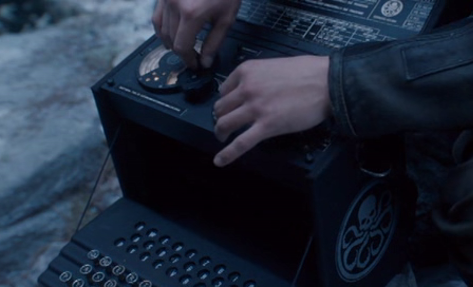 In a nod to the history of cryptography, the folks over at Marvel Studios included a modified replica of the Enigma Machine in one scene for the 2011 film Captain America: The First Avenger. 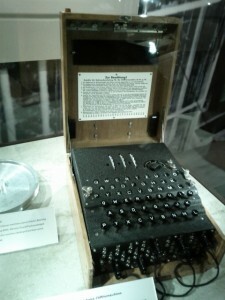 If you don’t know, the Enigma Machine was a tool used by the German army and navy to encipher and decipher messages during WWII. The breaking of the cipher by the brilliant cryptographer Alan Turing gave the allies vital information on land movements of axis troops. In this scene, it was even used in the correct context: decrypting messages of the Nazi train system. I commend Marvel for their thoroughness on this one!